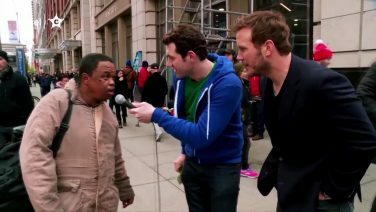 Billy on the Street is a pop culture game show that follows unfiltered and unapologetic comedian Billy Eichner as he hits the streets of New York City to test unsuspecting passersby. 10: The Ny Bubble With Stephen Colbert! 9: Super Sloppy Semi-Automatic Double Dare! 8: Curbside Conga Line With James Corden! 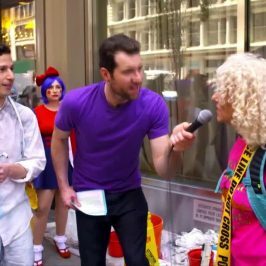 7: Do Gay People Care About John Oliver? 2: Death Rogen, With Special Guest Seth Rogen! 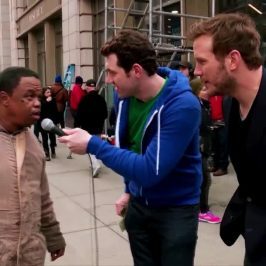 Do You Know Who Chris Pratt Is?